HONEY STOP the Car!! 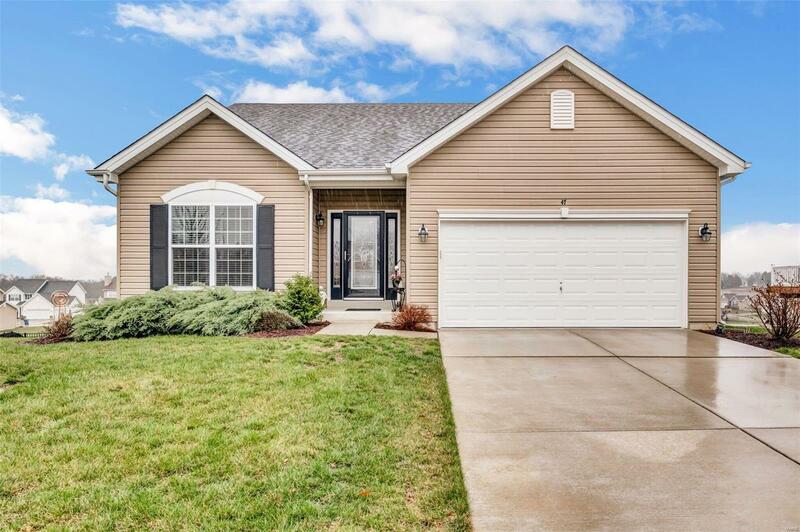 GORGEOUS well maintained 4 year old home located in unincorporated Lake St Louis is what you have been looking for! 3 Bedroom 2 Bath, in cul de sac of well kept family subdivision, with GINORMOUS iron rod fenced back yard, gives you endless opportunities to make you feel right at home! Stunning REAL Oak Hardwood floors! Welcoming entry way leads you to open floor plan. 9 foot ceiling that follow into the great room with 12 foot ceiling with gas burning fireplace. Kitchen has newer 5 burner gas stove and convention oven, 42" cabinets and center island, will make any chef want to stay in kitchen and cook all day! Cedar deck allows you a comfortable place for relaxing while taking in the breath taking view of the town! Walk out basement is already wired with can lights and ready for your finishing touches. 3 large egress windows and some framing done for you!Don't miss out on this opportunity to own this STUNNING home! Small fence around patio does NOT stay .